Home Tags Posts tagged with "TEKS"
Earlier this week, my high school principal told me I would be teaching digital media. School is starting and I’m not sure what to do next. Can you get me started? This is an area I have little or no experience in. “Breaking your own mold can only make you stronger and more confident to reach higher levels in your professional and personal life,” says Dr. Elizabeth Lombardo, psychologist and author of “Better Than Perfect” as cited by Thomas Oppong. Thomas suggests that the only time you are actually growing is when you are uncomfortable. Certainly, your situation qualifies as an opportunity to break your own mold. “Seek out discomfort. Be deliberate about doing things that push your limits magnificently. Difficulty helps you to grow,” advises Thomas. Pushing your limits does not mean you have to be alone. You can push your limits in collaboration with a vast network of fellow educators. Let’s explore some tips and ideas to get you started. 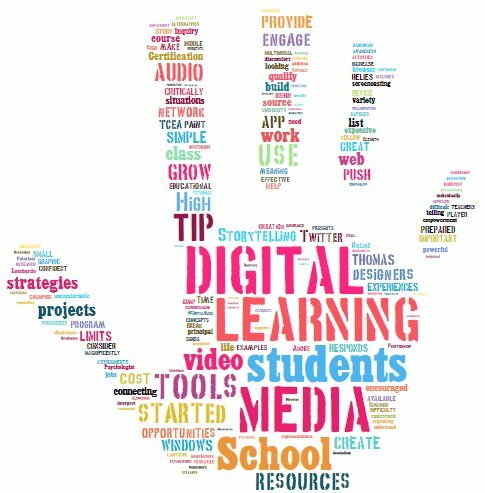 If you are not using Twitter as a professional learning network (PLN), then begin now to follow teachers who are concerned with teaching digital media in high school. To get you started, I have compiled a list of twenty-three folks on Twitter you can follow and connect with. Or, if you prefer, just view the Twitter list “HSDigitalMedia” that I have prepared for you. I will add to this list over time, and you are encouraged to contact people on Twitter to grow your network to facilitate just-in-time professional learning. Increase student engagement: Students working on digital media assignments feel a deeper sense of empowerment as they act as producers–rather than just consumers–of meaning and knowledge. Help students work through difficult concepts: If students are making media, digital tools help them express concepts using multimodal representations. Promote critical awareness: Students must be prepared to critically understand and interpret meaning presented in various forms. Adopt inquiry-based strategies. One example includes Genius Hour , which encourage students to engage in passion-based learning aligned to specific learning goals. Adapt service-based learning for class projects: Foster a service mentality and a sense for real-world effectiveness by building service learning into lesson plans and units. These three strategies (PBL, Inquiry-based Strategies, and Service-Based Learning) offer great learning opportunities. They provide fodder for creative digital media projects. While you may be tempted to embrace expensive technologies to teach digital media, aim small. You can model the use of mobile device technologies (e.g. green screen apps) that can have a big impact. These small creations can get your class started, then be incorporated into more expensive production tools. A Curriculum for Digital Media Creation – This Apple-created resource relies on the wisdom of Marco Torres and others. Pixlr.com (Free) – Provides express editing, as well as a more detailed app you can work with. Also available as iOS app. Fotor Photo Editor Online (Free) – A great app to use for photo editing that works via your browser, Android, or iOS device. Worried that you have too much to learn? Remember that there are many resources available online for free. Your job is to curate those resources, create situations that engage student learners, and assess growth. You do not have to be the expert in everything! Let the students learn from each other as they grow. In a TCEA interview with Mark Simmons (Sabine Pass ISD Director of Technology), he advocates a continuum of learning opportunities that lead towards certification. It’s not enough for your students to learn digital media tools. They need to be able to make a living with these tools. Learning to use digital media tools is only one aspect. Another component, perhaps more important than technical expertise, is learning how to tell a compelling story using digital media. Rely on resources like these below to have your students start telling and showing their own powerful stories. It can be daunting to begin a new class. Remember that you will need to start with relevant TEKS and design a syllabus. Then, set up specific projects that solve an overarching problem or are service-based learning oriented. You’ve got this! The new G Suite curriculum comes complete with instructional videos and creative projects. This will be a boon to educators who seek to prepare students for the world of work. Of course, there is a focus on Google Suites for Education tools. Some of the creative projects include If/Then Adventures, which are reminiscent of the Choose Your Own Adventure print stories many of us grew up seeing on bookshelves. 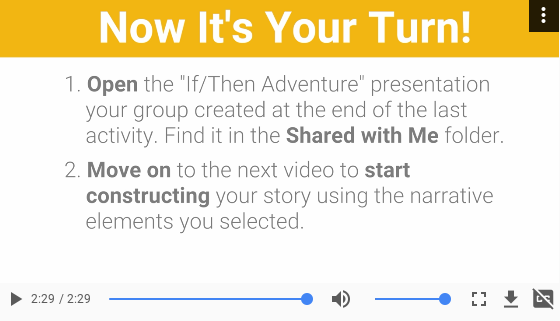 The If/Then Adventures video provides great examples that highlight coding connections. 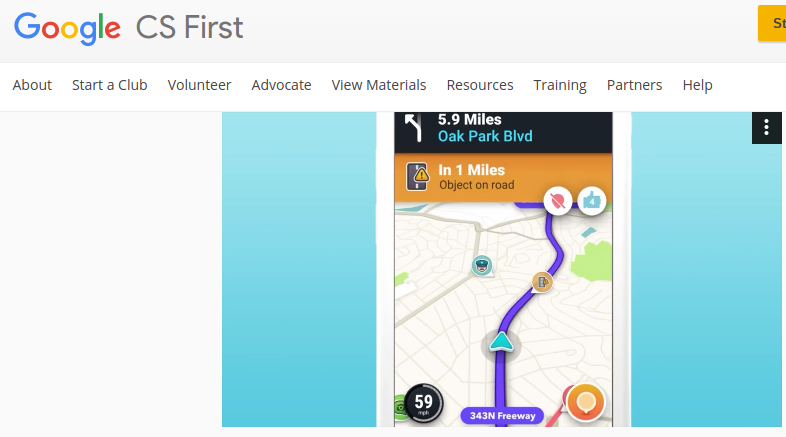 They also emphasize real-life connections to apps many of us may be familiar with, such as the Waze directions app. While watching the video, students can receive prompts known as “CS Alerts” that offer status updates and advise them what to do next or what is upcoming. “What do you have so far?” I asked. My colleague held out a legal pad, crude drawings marring the perfect yellow pages. If you’re going to be re-arranging a dog house or your living room to fit a Christmas tree, take a look at SketchUp Make and SketchUp Pro, available for free to K-12 public schools. As my colleague put it, “Google SketchUp is 3D modeling software that lets you create anything you can imagine. It’s powerful enough to build complex projects, yet is easy to learn and use.” Their work appears in SketchUp’s 3D Warehouse, which houses millions of models. Simple enough to use that grade 3 through adult learners rely on SketchUp for a variety of tasks. SketchUp can be integrated into different classes. You can find teacher guides that provide specific models. For children with autism, Project Spectrum shares powerful examples of student creativity made possible. SketchUp Pro can also be used for 3D modeling and printing. Students can create designs in SketchUp, then save them as OBJ files. These can then be opened in your 3D printer’s software (e.g. Makerbot) and printed. Talk about authentic learning! SketchUp Pro also supports design templates for 3D printing, making it a simple matter to create to scale. You can also export designs in 3D Warehouse to STL file format for 3D printing. Doing so helps clean up your design before beginning to print. Another neat feature involves interacting with holograms. Visualize design data and collaborate with others using SketchUp Pro with Microsoft Hololens. SketchUp makes creating models for sharing, and printing. Prepare your children for the future and introduce them to it today! Special thanks to Taylor and Brian Wright for sharing their use of SketchUp to create real structures via their blog.